Do you often feel overshadowed and hidden in the midst of other large buildings and companies in your immediate area? Well now you no longer have to. 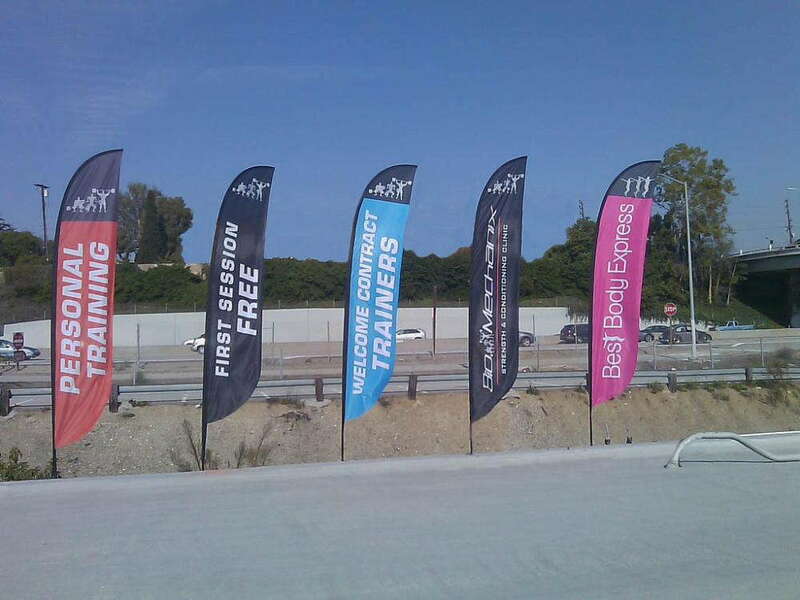 With outdoor flag signage, you can put your business on the map — and set yourself apart from the competition. Keep your company and brand visible with custom feather flags. 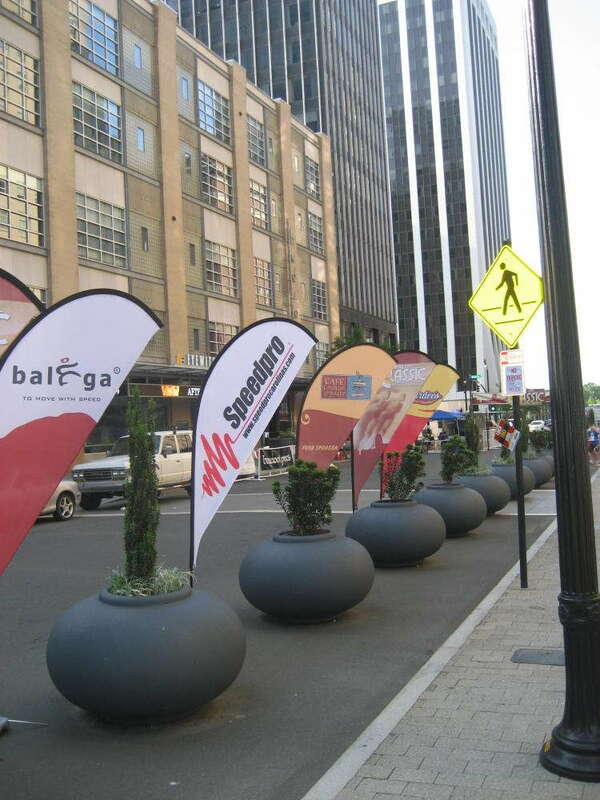 At SpeedPro Imaging Elmsford, we offer a variety of feather flag signage to attract curious bystanders. You’ve seen how great car dealerships and festivals are at drawing attention and creating buzz about their business. With our help and design skills, your company will soon become the talk of the town. Keep all eyes on you with some brand-new branded feathers flags. Companies in Westchester, Rockland County and the Connecticut area are encouraged to reach out to our team today to learn more. Lightweight and mobile, outdoor flag signage can liven up your building and draw people closer to your business. Each shape has its benefits and customizable features, capable of aligning with your branded message and business goals. And luckily, you’ll never have to stress about your message getting lost in the wind. Our team has developed a way to make the flag roll instead of flap in the wind, ensuring your message can continue to be visible from a variety of angles and directions. You can choose to use these flags in bulk to grab constant attention from people passing by or pick one to sit atop your building’s roof. 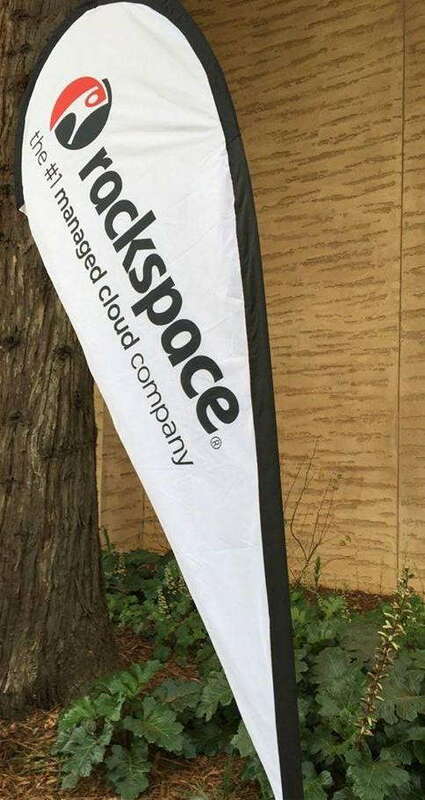 Some flags look best outside, showing off your brand and catching people’s peripheral attention. You can also use custom feather flags for events, not just drawing attention but also emphasizing particularly noteworthy presentation points or graphics. Smaller flags are also convenient for tabletop displays, whether that’s to sit in your office or be taken on the road for your trade show display. 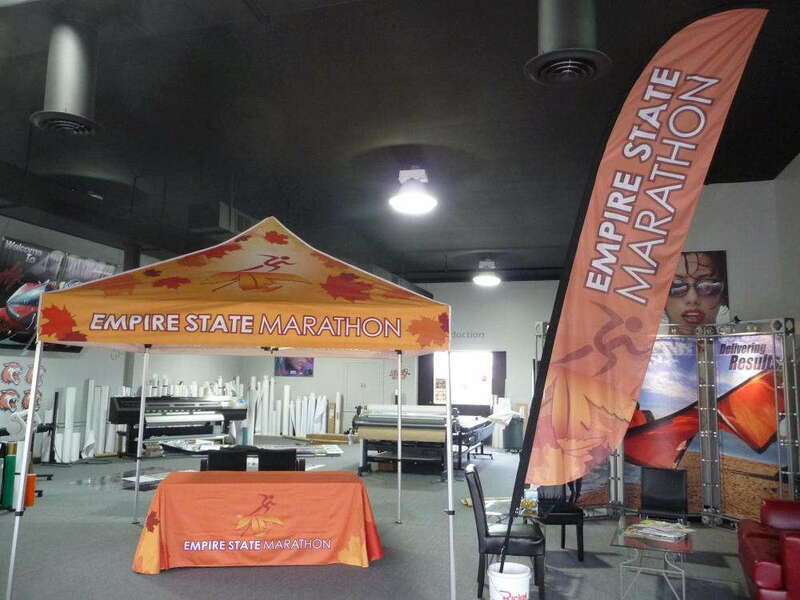 SpeedPro Imaging Elmsford can also provide you with multiple stand options for your flags. You might want something more durable if you’re outside rather than a smaller, movable frame. One of the many great features that we offer on our frames is the adjustable height knob, which will allow you to raise or lower your flag to meet your branding needs. Choose to highlight your business and the work you do by assembling branded feather flags inside and out. If you’re ready to astound potential customers near and far, call us today to get started with scheduling a consultation.